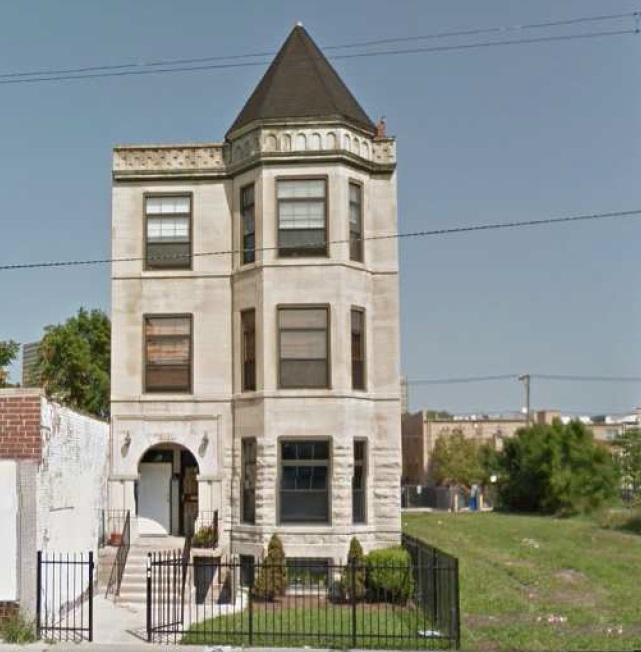 Let’s look at buying an investment property in the Bronzeville neighborhood. We will focus on Two-to-Four Unit investment properties. I like to analyze properties that are fairly turn-key investments. This means that the units are in decent condition and they are already rented out. Of course, you can find fixer upper properties that are not yet rented. (i.e. cost of repairs, building permits, length of time to find tenants, etc). It is nice to see that the Bronzeville real estate market is alive and well. 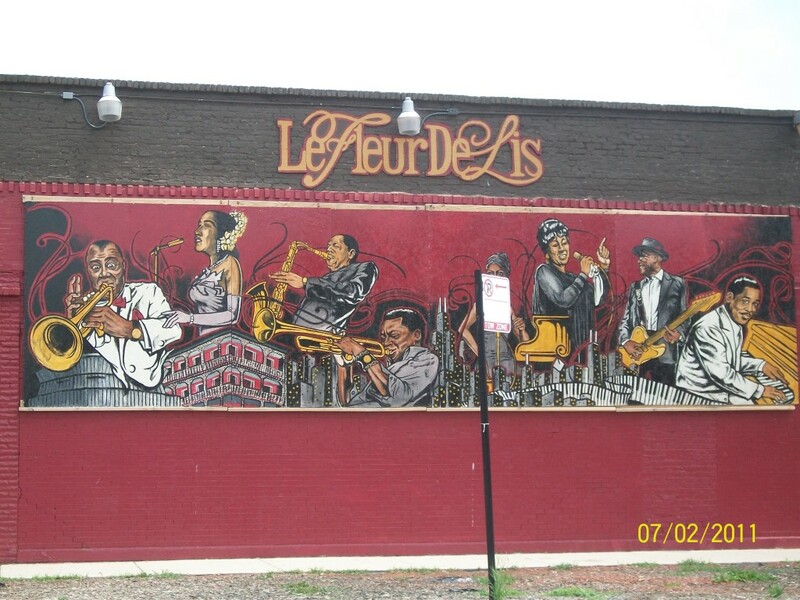 Bronzeville usually has a limited supply of available investment properties. I would say that the demand for quality investments far exceeds the supply. Owners of Bronzeville properties tend to hold on to them for long periods of time. So the turnover of properties in Bronzeville is lower than in some other neighborhoods. investment property. Property #3 will be the subject of this analysis. Each unit was recently rehabbed with hardwood floors and updated kitchens. Total monthly income was $4,375. There is also room to increase rents every year until they are at the market rate. The current market rate for a rehabbed 3bed/2bath unit in Bronzeville is $1,500. This building’s “Gross Income Multiplier” was a little over 7.
a good metric to use when searching for potential properties in Bronzeville. This metric is also known as the GRM (Gross Rental Multiplier). that will be a good estimate of its current market value. So our estimate looks pretty good. To get our Net Income, we just subtract expenses from our gross income. for capitalization rate, is defined as [Net Income] divided by [purchase price]. So using this formula, we find that our Cap Rate for this property is 8%. You may see the term “Cap Rate” quite a bit when you start looking for investment properties. It gives you a way to compare different investment opportunities. But it is just a “rule of thumb” metric that will help filter out bad investments. One thing that has a huge impact on the “Cap Rate” is the amount of expenses. expense last year (replaced the boiler), it can make the Cap Rate look lower. In Bronzeville, most of the good investment properties will have a Cap Rate of about 8%. 8% to 9%. In other neighborhods where purchase prices are higher, the cap rates will be lower. Hyde Park is a great example. Cap rates in Hyde Park are about 6%. OK… enough about Cap Rates, let’s continue. So now we have about $30,000 in annual net income. That is decent income for one property, but how much cash flow will be generated? What is cash flow you say? Cash flow is what goes in your pocket! It is your Net Income minus your mortgage payments (debt service). If you bought the property in cash, then obviously your Net Income is your cash flow. But most investors will use a mortgage when purchasing a property. be about $1,520. This assumes the loan had a 4.5% APR. $976 every month. This means our annual cash flow is $11,710. Our actual cash invested in this property is $75,000 plus closing costs. cash-on-cash return on investment (ROI) is 14.8%. .07% interest for a CD. To put that in perspective, our $75,000 would only earn a measley $52 per year. That is $52 per year vs $11,710 per year! themselves out at 2 AM. But we are paying $5,250 per year for a property manager. That way we don’t have to deal with any tenant issues directly. and rent out the rest. If you take this option, you can qualify for a FHA insured loan. FHA loans only require a 3.5% down payment. In this case, that would come to $13,125. month on rent has the same impact on your finances as having $1,000 monthly cash flow. mortgage and help you build equity over time. Well that is enough number crunching for now. This entry was posted in bronzeville, Chicago, Chicago neighborhoods, Chicago Real Estate, Grand Boulevard, Home Values, Investment properties, Investment Property, multi-unit, real estate analysis and tagged bronzeville, Bronzeville Chicago, Bronzeville Real Estate, cap rate, chicago cap rate, Chicago Real Estate, Home Values, income properties, Investment, multi-unit, sales analysis, values. Bookmark the permalink.